These beauties were part of the giveaway polishes that Hella Handmade Customs has been giving away during their birthday month. Named by fans, and now being released by Hela Handmade Customs two different ways. First is a limited quantity launch in the HHC store on Saturday March 10th, done in two waves, morning and later in the day. A pre-order release will be offered on May 1st-13th. 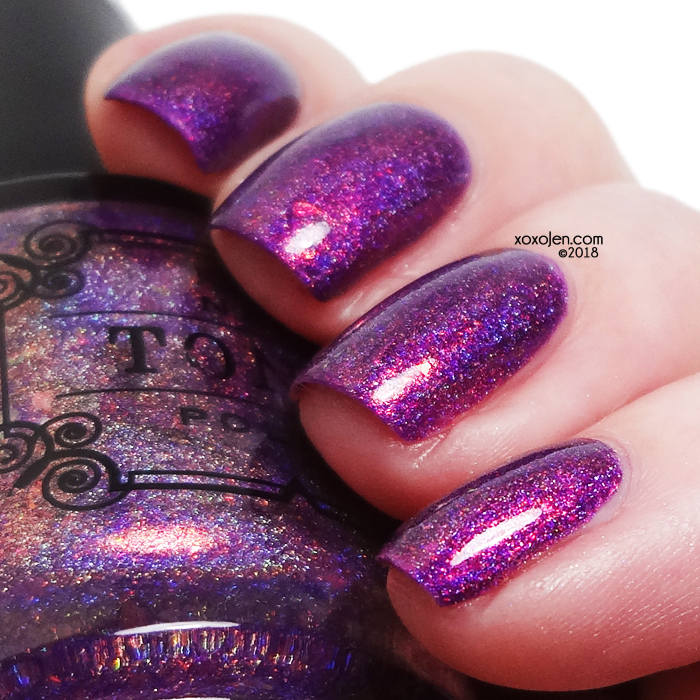 A purple lit from within by a glowing peachy shimmer, iridescent particles of different sizes that shift yellow and green, and linear holo. Go Shawty, It's Sherbert Day! 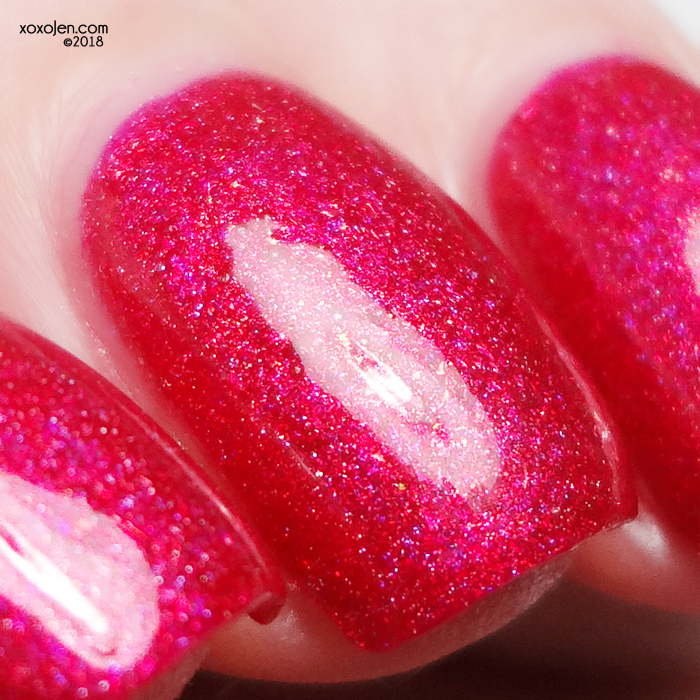 A bright cherry red lit from within by a copper shimmer, iridescent particles of different sizes that shift yellow and green, and linear holo. 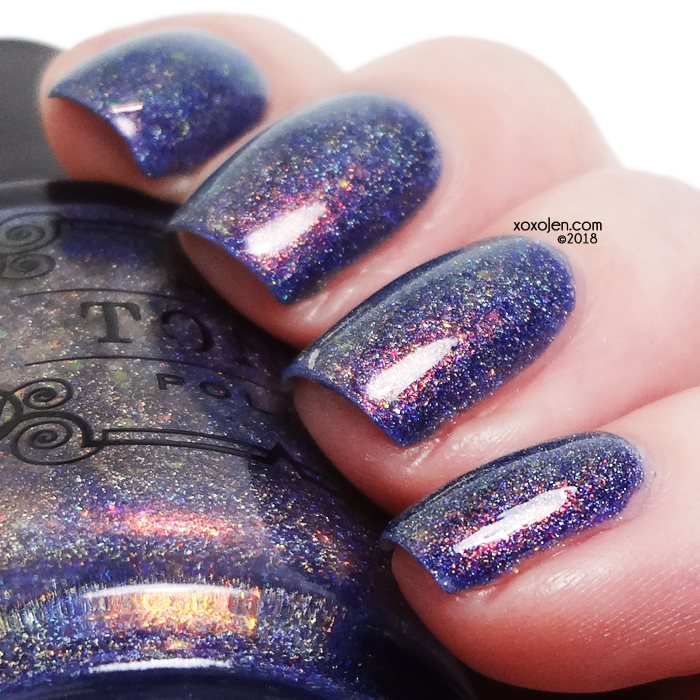 a denim blue with glowing copper shimmer, iridescent particles of different sizes that shift yellow and green, and scattered holo. 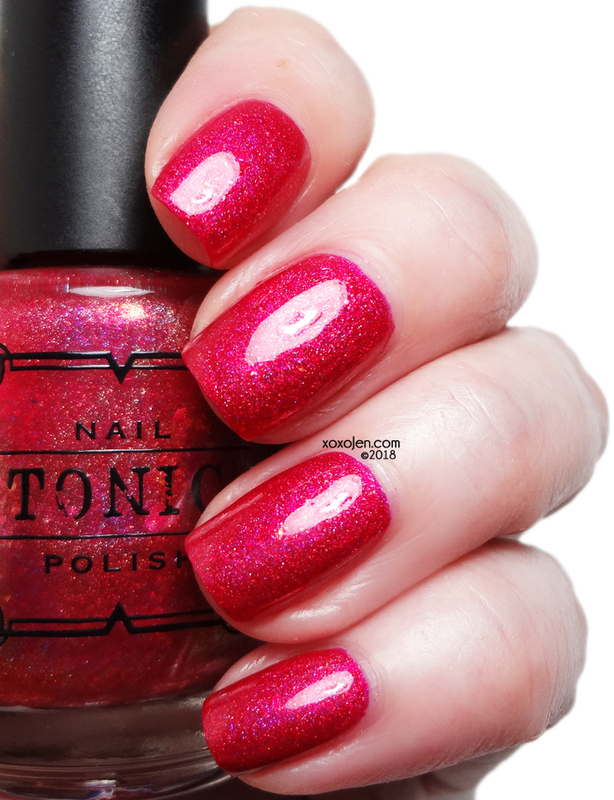 These polishes have a fantastic formula, and are all shown in two coats with topcoat. 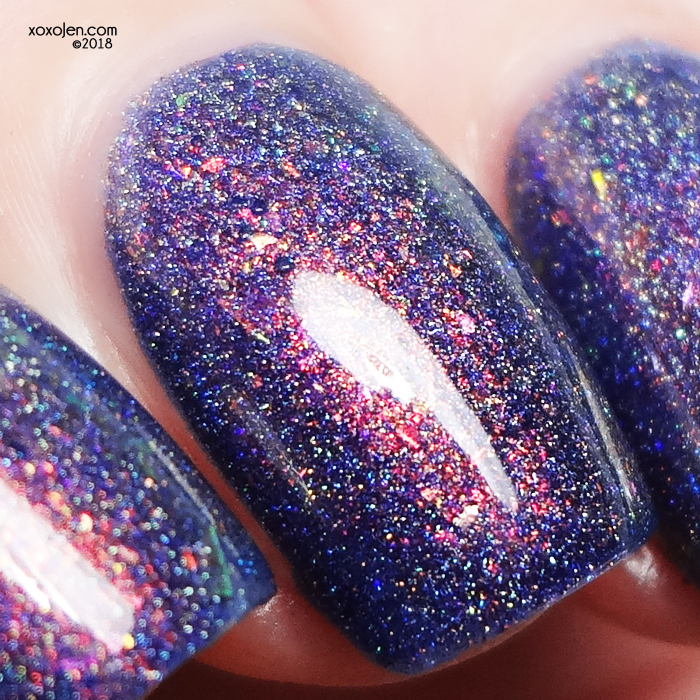 The shimmer, flake and holo have me ya'll! What are you picking up on March 10? 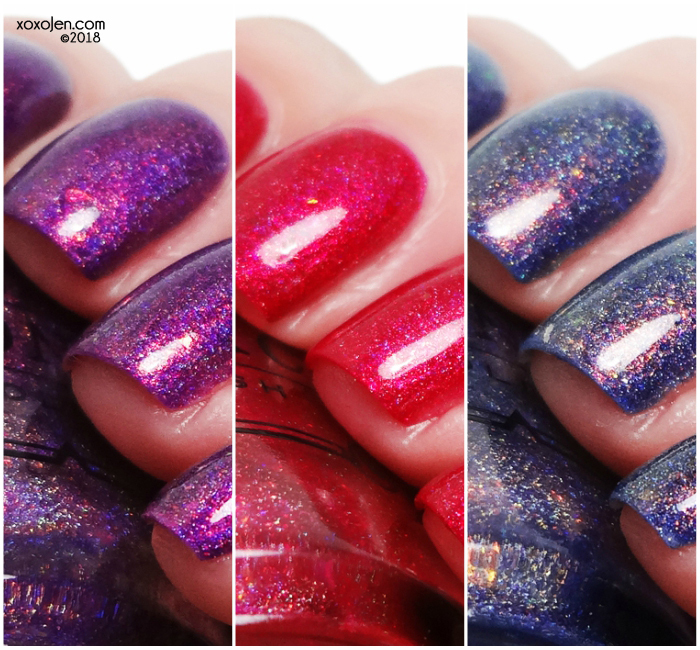 They are all beautiful but as a Purple Polish Freak I definitely need "Mahaloversary"!!! Photos don't do it justice, I think everyone needs that one!